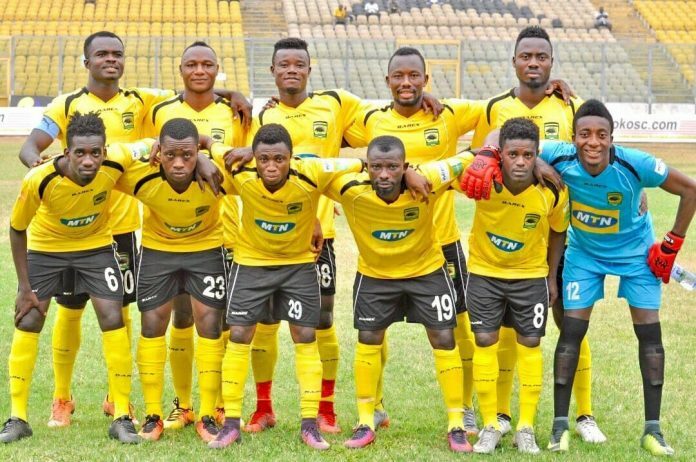 Ghana FA Cup champions Asante Kotoko will take on Congolese side CARA Brazzaville in the first leg of preliminary round of the Caf Confederations Cup at the Baba Yara Sports Stadium on Sunday. The Kumasi giants are coming back to the continental tournament after three years in the hiatus and some of their players have taken to social media to announce their readiness for the game. Former coach Prince Sabuto Acheampong as well as Augustine Okrah have also added their voices. Okrah who won Ghana Premier League best player and topscorer in 2014 is currently with Egyptian side Smouha FC. Elsewhere in Egypt, Ghana Premier League champions Aduana Stars are playing Al Tahady in the Caf Champions League. We're with you guys in spirit…..make Ghana loud and proud today against CARA in Caf Confederations Cup. @AsanteKotoko_SC my first professional club. Go, go, go Fabulous Kotoko and Ogya Aduana.. Wishing you All The Best..